I am thrilled with the results of my two bathroom remodels all thanks to the personal service and products at Dave’s Tile City. I could not have done it without the expert help of Lauren and Alicia. They are extremely knowledgeable about the vast selection of tiles and countertops that Dave’s offers and their design skills are superb. They assisted me in finding a great contractor to do the work and they even helped me find the perfect paint color! Dave’s prices are as good as, if not better than the big box stores and I was happy to support a local business. We purchased 160 square feet of stone from your store. We were shown several styles by Ryan. He was very helpful in helping us pick out the tile and grout. The job was completed a few weeks ago and we were very pleased with the outcome. It turned out we were just shy of one tile to finish the job so when we went back to order another box to finish the job and to have some extra tiles for future repairs if necessary. When we placed the tile order they offered to give us the sample tile piece from the store to finish the job and not have us wait the week for delivery. It worked out great! We're sure to use Dave's Tile City for any future jobs we have. I shop at Dave's Tile City because not only are their prices good but their people are great and their service is hands down the best. I am always greeted with smiles and helpful hands. You can tell they work hard to make every customer feel like their job is of the utmost importance no matter how big or small. I personally can't say enough of Dave's Tile City and they will always be my exclusive supplier! I've had my business; Lowe's Tile and Granite since 2006. 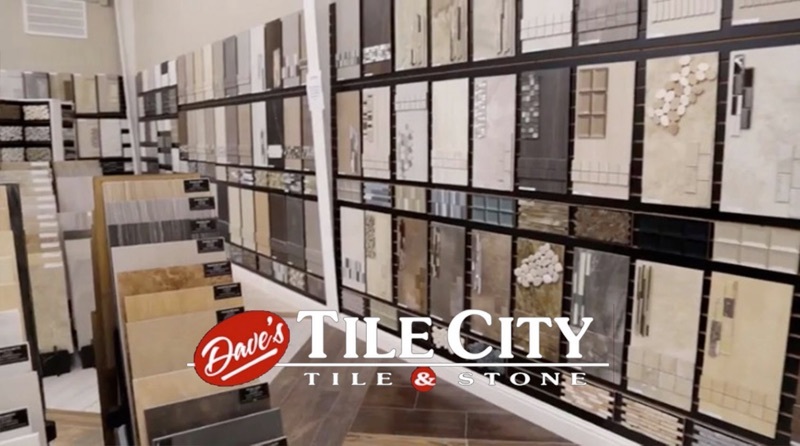 Dave's Tile City has consistently been a great resource for materials for myself and clients. Dave's Tile City is always up to date with the newest products and designs. They are my go to source in Chico and Yuba City. Dave's Tile City and its employees are very helpful and knowledgeable not only in tile, but in materials for proper installation. There have been times when they have delivered materials to me after work on their way home. Real nice small town service and the best thing they always answer their phone. Super nice working with them from selection to ordering. Very smooth.